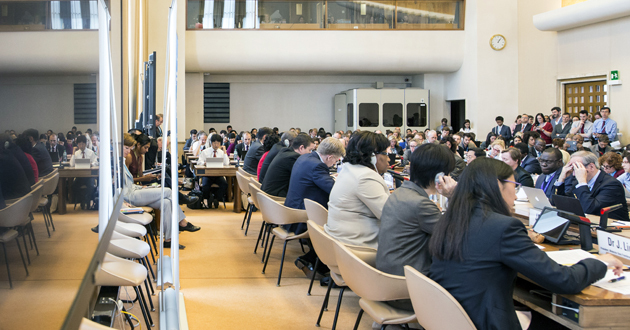 The 69th World Health Assembly is taking place from 23-28 May. These strategies set targets for disease reduction and lay out recommended activities at the global, regional and country level. They are also intended to guide the development of national action plans. The HIV and viral hepatitis strategies are notable for the provision they contain on the Medicine Patents Pool and their defence of the flexibilities in the World Trade Organization Agreement on Trade-Related Aspects of Intellectual Property Rights (TRIPS). This agenda item, 15.1, was approved today in committee (B), and will head to the closing plenary of the Assembly for final approval later today. During the committee discussion of the agenda item this morning, a number of member states mentioned issues of TRIPS flexibilities and of high prices of medicines, such as hepatitis C in particular. It was pointed out, for instance, that due to generics, prices for a drug that cost about US$ 80,000 in some countries, was reduced to $900 per course for others. "Drug Pricing, Generics Figure Into WHO Strategies On HIV, Hepatitis" by Intellectual Property Watch is licensed under a Creative Commons Attribution-NonCommercial-ShareAlike 4.0 International License.